The last few months have seen enormous changes for all of us at JPR. Moving into a new broadcast facility after 48+ years in a basement has been more than just a change of scenery. (Psst: We now HAVE scenery!) It’s been a major overhaul of nearly aspect of how we operate. From control rooms to production spaces to expanded offices, we’ve got room to breathe for the first time in ages. We’ve always felt that living in this beautiful, rural part of the country shouldn’t preclude us from accessing the very best content that public radio has to offer. With our new building, we are able to take a huge step forward. Across our various program services, I’m confident that we hit that target regularly. But on the music side, there was always an area in which we lagged behind—live in-studio performances and conversations with the artists making the music. We’d had a handful of performers in over the years, but when I launched JPR Live Sessions in earnest back in 2013, I had a goal of creating a regular vibrant, diverse, and exciting series. I wanted to create a showcase for the wide array of artists and genres that are heard on the station on a daily basis—Jazz, Blues, Classical, Indie Rock, Electronic, acoustic folk, and everything in between. It was an uphill swim at first. We are not exactly a region known for its plethora of live music venues—a lot of musicians drove right past us without a second thought. I had to educate many people in the music world about JPR and what we do and where we broadcast. (“No, we’re not actually in Portland, sorry…” was a common theme.) We were also broadcasting from a physically limited facility that only had an 11x10 carpeted room in which to try and record a band. It was a serious challenge. There was nowhere to set up a full drum set, no good way to monitor anything, harsh fluorescent industrial lighting, and even limited functional power outlets. By the way, that same room functioned as the home of the Jefferson Exchange every morning, so early setup a day in advance was impossible. Despite the limitations, we’ve now aired roughly 400 JPR Live Sessions—most recorded in those tight confines. We’ve helped break new artists. We’ve premiered new songs. We’ve introduced some of our talented regional artists to a wider audience. And we’ve had great feedback from labels and artists and management alike which has helped the series. But we weren’t quite where I thought we could (and should) be. There were things we simply couldn’t do. If the band was larger than five members, we had to say no. If the artists required more than 6 microphones, we had to say no. If they needed a piano, it was a no. It happened more often than I’d care to revisit. Considering some of the famous musicians that were possible JPR Live Session guests, it was very frustrating to have to pass. With our new building, we are able to take a huge step forward. Our new performance space (named for former JPR Foundation Board President Steve Nelson) is roughly double the size of what we had before. Our inexpensive portable 10-channel mixing board has been replaced by a professional model with 24 input channels installed in an isolated control room. We’ve got a full monitoring system for artists to hear themselves properly when the music gets loud. We’ve got outlets! As Oprah would say, ‘You get an outlet! And you get an outlet!’ We’ve installed high-quality lighting…and with the help of a generous listener, we’ve acquired a beautiful Steinway grand piano for the space. We’ve already put it all to use. 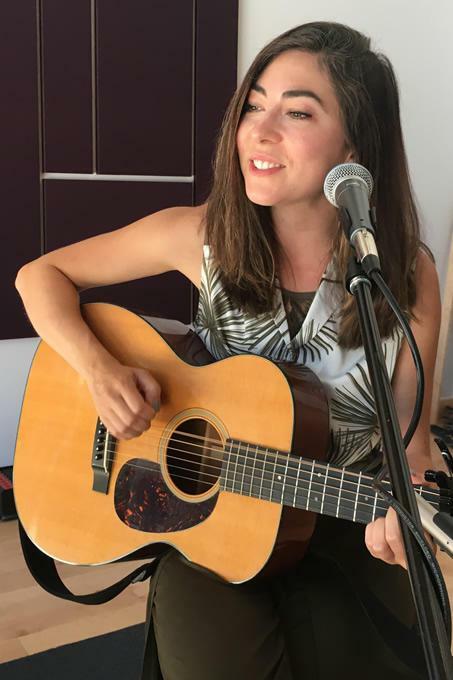 As you read this, we’ve recorded sessions with singer/songwriter KT Tunstall, Australian dream-pop band Hatchie, blues virtuoso Terry Robb, jazz and soul singer Kandace Springs and her band, the Cassatt String Quartet, and classical pianist Lise de la Salle. Most of those sessions would not have been possible in our old space. When guitarist and singer Robert Ellis came in, his eyes lit up at the sight of the piano, and he immediately sat down to show off new music he’d been working on—on the piano! Songs nobody had heard yet—except for you! Our new space made that possible. There’s still a lot to learn about our new facility. We’ve got new hardware and software. We’ve got a physical space with its own personality and sound qualities to figure out. Time and experience is the only thing standing in the way of us having a fully functioning recording studio—one that will eventually not just produce high-quality audio recordings, but video. That’s coming, but we need to walk before we can run. For now, we’ve got our hands full. The music world has taken notice, we’ve got more requests for sessions than we can possibly accommodate at this time. And we’re stretching out in new directions as a result of our increased capacity. We’re looking forward to episode 500 of JPR Live Sessions. We plan to start a regular series of in-studio performances for our Classics & News Service. And when the room isn’t in use by JPR, we intend to partner with Southern Oregon University to make the space available as a practice room for faculty and select students, and as a hands-on laboratory for the SOU theatre department’s lighting students and digital media students to get practical real-world experience. It’s an exciting time. I can’t wait to share our next recordings with you. Eric Teel is JPR’s Director of FM Network Programming and Music Director. Agnes Obel, the staggeringly talented No.1 artist across Europe, and a great live success in the UK, returns with a bigger sound, a bigger canvas and, for the first time, a concept for her third album. Citizen Of Glass follows 2013’s gorgeously intimate, piano-and-voice-led masterpiece Aventine, and 2010’s stunningly detailed, delicate debut Philharmonics, which had huge commercial success in Obel’s home country of Denmark, as well as France, Belgium, the Netherlands and Switzerland.